Get Pre-Owned Furniture & Decor From Expat Homes At 40–60% Off! Embassy Goods Company is a venture that sells second-hand furniture, appliances and decor from diplomats and expats’ homes when they’re leaving the country. The products on sale are updated on the company’s Facebook page and often, the information is circulated on a closed WhatsApp group. Deals and discounts on pre-loved furniture, musical instruments, appliances, decor and factory surplus from brands such as Urban Ladder. The quality of goods and the speed at which everything flies off the shelf is a testament of Embassy Goods Company’s successful run. 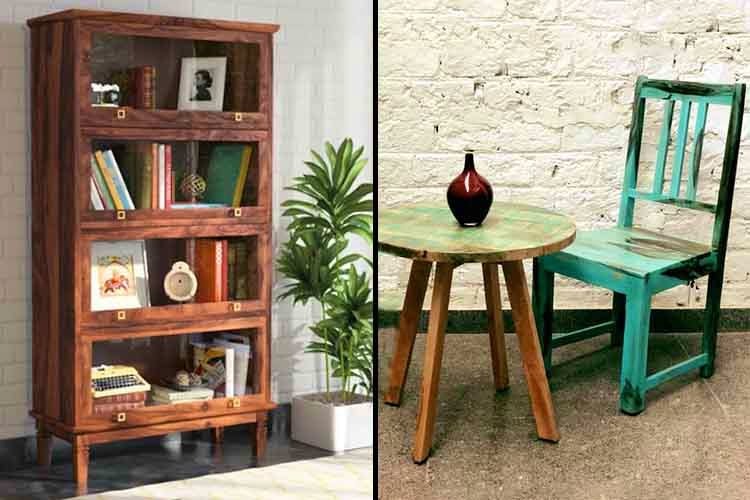 If you’re in luck, you can get so many steal-deals on swing chairs, beds, air-purifiers, dining table sets, IKEA shelves, couches, artworks, cabinets, coffee tables and more. During the course of these transactions, Ankur, the main man behind Embassy Goods Company, realised that he needed to tie up with brands like Urban Ladder to keep a steady supply of goods in the warehouse. Ankur has a warehouse in Phase 3 Gurgaon, where you can land up for a look-see after taking an appointment. He’s also engaged an in-house person who can polish and fix small signs of wear-and-tear from second-hand products before they are dispatched to the buyer’s residence. The order delivery takes about 2–3 days and covers all of Delhi and NCR. And, what happens if you don’t like what you get, you can have it returned and claim a full return. No questions asked. You’ll have to be really hands-on, and will need to be a regular on their FB page if you want access to the best deals.